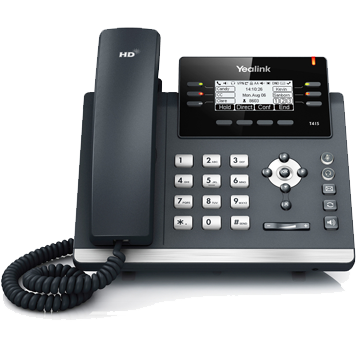 Yealink's new T41S marks the entry level model in the new T4S Series. Ideal for business users, the T41S delivers superb audio quality as well as a rich visual experience with a 2.7" graphical LCD screen and support for up to 6 SIP accounts. Acting as a replacement for the T41PN model, the T41S offers a more enhanced performance with added extras such as USB port, Opus Codec Support and a faster, more responsive interface.